Brenda Baillie has been studying the state of waterways in New Zealand’s planted forests for the last 20 years but the results of her work can still surprise. 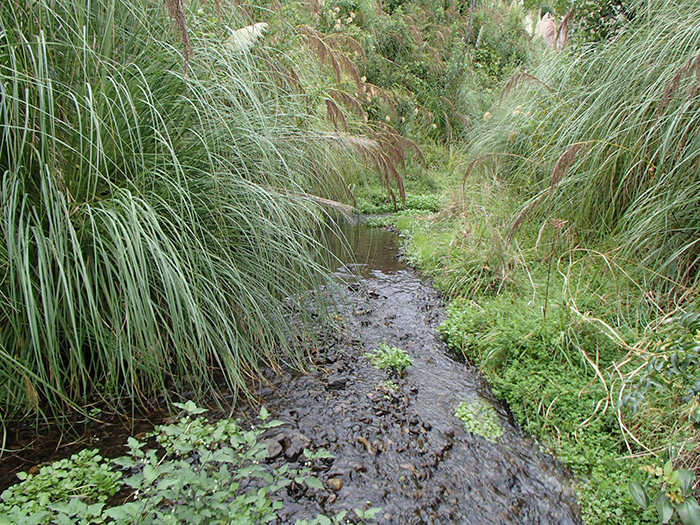 The conditions in streams running through mature planted forests are usually similar to those found in streams in indigenous forests. The streams are shady and the water is cool and clean. They support a diverse range of aquatic invertebrates, native fish species like tuna (long finned eel) and banded kokopu and waterfowl like the nationally endangered whio (blue duck). Unlike indigenous forests, planted forests are regularly harvested leaving the land and waterways vulnerable until the next tree rotation becomes established. Brenda’s work has concentrated on understanding how stream ecosystems respond to this and identifying options to assist in minimising the impacts and aiding recovery. Recently, several streams that Brenda has been monitoring were hit by a one in 100 year rainstorm soon after harvest. The rain caused flooding, slips and washed debris into the waterways. There, the combination of wood, soil and water formed a debris flow and scoured the streams down to bedrock and washed away the stream banks. Brenda has been watching these streams recover over the last five years. “In the first few months afterwards it seemed like nothing was happening as a series of rainfall events kept washing through the stream systems” says Brenda. “But gradually the streams started to recover. The streamside vegetation started to grow back, mainly species such as pampas. Five years later, native shrubs are starting to poke through the pampas and the streams are starting to shade over again. "We measured a large increased in the densities of both the invertebrates and native fish within two years of the rainstorm, higher than the densities that were there before. While some invertebrates and native fish thrived in these conditions, others were not so adaptable. Fish species, such as the banded kokopu have yet to return to these streams. One way to encourage the recovery of stream ecosystems after harvesting and storms is to maintain the presence of large, stable pieces of wood in-stream. With around 80% of the country covered in forest before human occupation, one of the characteristics of New Zealand waterways is the presence of wood and it is natural component of our stream ecosystems. Large branches and fallen trees help form deep pools and sheltered overhangs. Some fish, particularly the larger longfin eels and banded kokopu prefer this type of pool habitat. Whio will also use logs and wood dams as shelter. Wood dams also capture organic matter and hold it in the stream system so that it can be broken down into a more palatable food source.